Congratulations to Gilgal Graduate Terri T.
Congratulations Terri! You Did It! Please join us in congratulating Terri T. who graduates from Gilgal on Friday, October 13 at 11:00a. Terri T. was born in Atlanta and struggled for over 30 years with an addiction to crack cocaine and alcohol. At one point, she had a short period of five years where she was clean and sober. Then one day after a rough time at work she decided to get a wine cooler on the way home. That choice was a gateway to a downward spiral of drinking and drugging for the next several years. She lost her job, a marriage, a healthy relationship with her children and grandchildren, her dignity and even her self-worth. bottom, she found herself literally wanting to die but instead reached out for help. After a short time in detox, she chose to come to Gilgal because it was Christ-centered and non- smoking. “I’ve tried everything else and it has not worked,” she reasoned, “so why not God?” It was then that she asked God to give her the will to believe in Him and He did. Terri celebrated her 50th birthday at Gilgal, however, what she is most grateful for is her new birth in Christ because that choice has put her on a path that she never thought possible. While at Gilgal, she has worked hard to overcome barriers to gainful employment and stable housing. 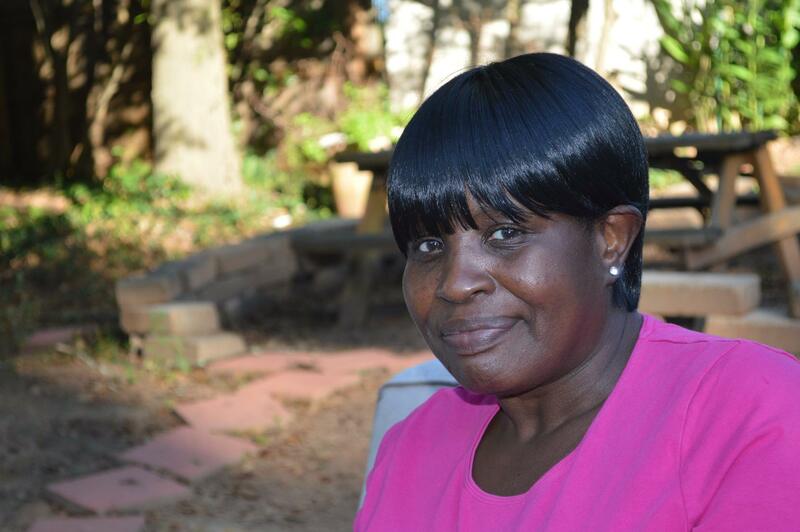 With God’s help, she secured a job at Northside Hospital that provides steady income and good benefits. She is also studying to take her GED, working to expunge criminal records and paying down outstanding debt. In addition, she has an established savings account, meets weekly with her accountability sponsor, and is practicing to take her driver’s license test. Terri also attends church regularly and has applied for an apartment where she plans to live when she graduates in October. Terri attributes her success to her relationship with God and the structure and compassion of the staff and volunteers at Gilgal. Change happens at Gilgal, and Terri is living proof!